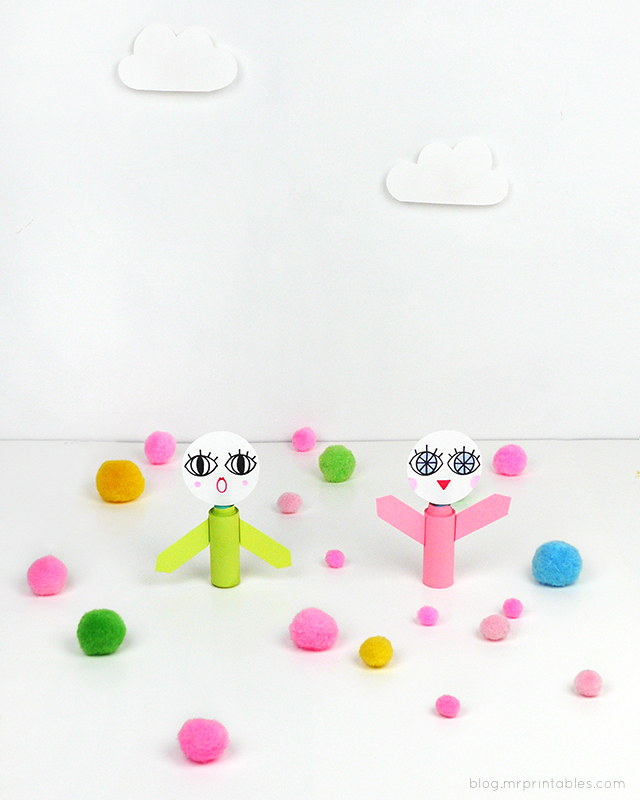 Easy to make, silly, just simple paper fun – meet these amazing telescopic paper toys! 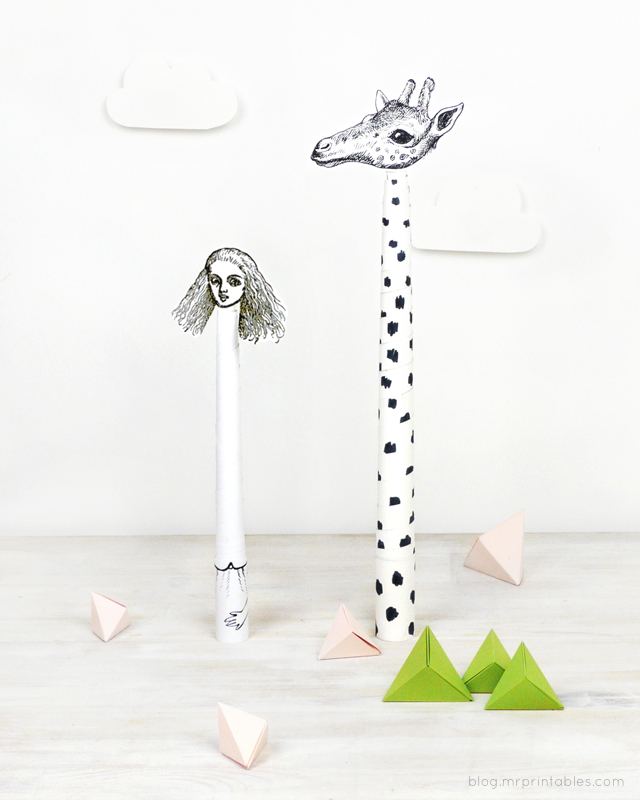 Roll up some paper and stick a face on it, then you have some fun creatures who can magically grow very tall if you wish! 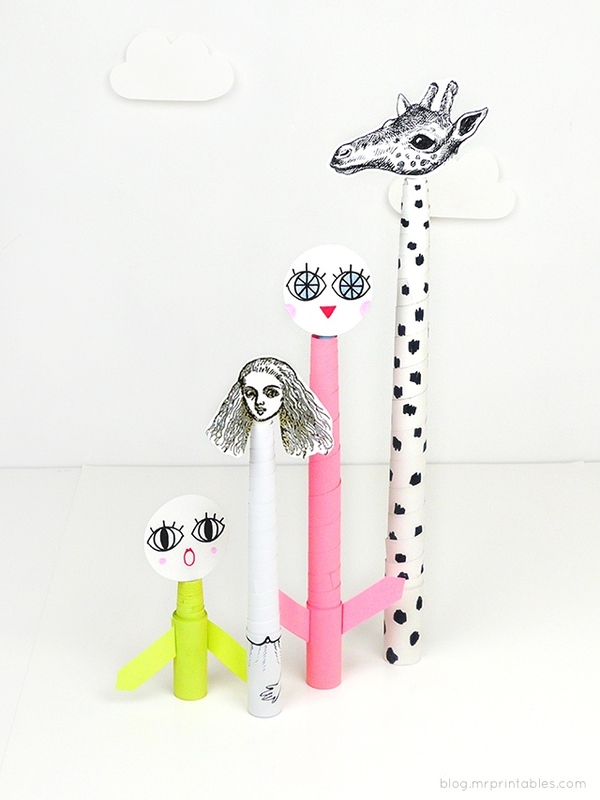 I made some colorful ones with funny faces and also Alice and Mr Giraffe. 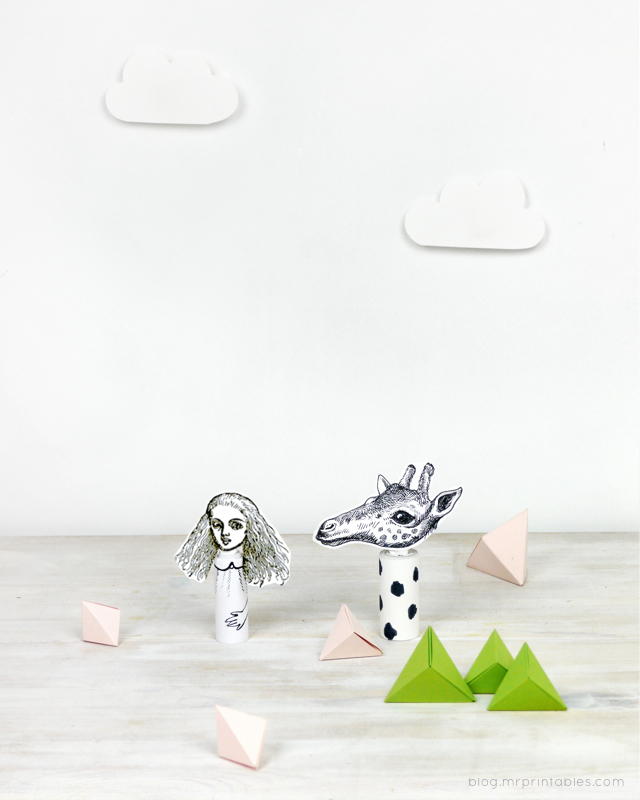 You can draw any faces you like or use cut-out illustrations. Or even more fun – use your family photos! I found the illustration of Alice with her neck grown so very long ( I love this part in the book) and ‘off with her head’! John Tenniel’s Illustration of Alice in Wonderland is copyright-free so you can download freely. For the giraffe, I just drew one based on a vintage image on the web (wasn’t free). 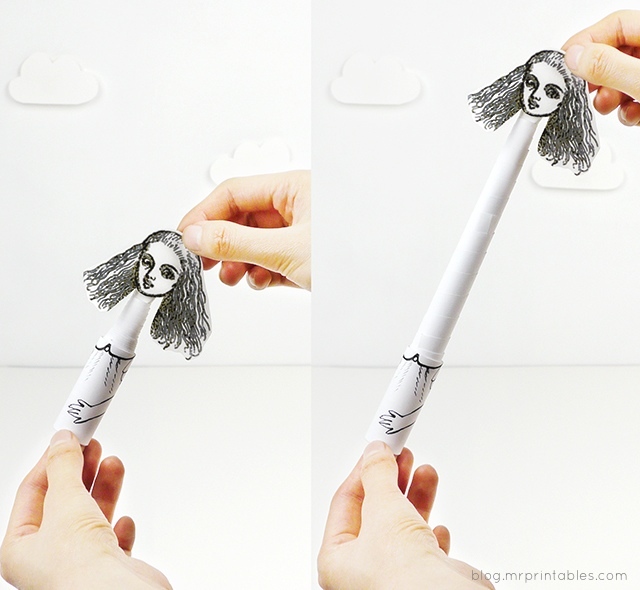 Use any photos or photocopy of drawings from your books to create your own telescopic toys. 1. 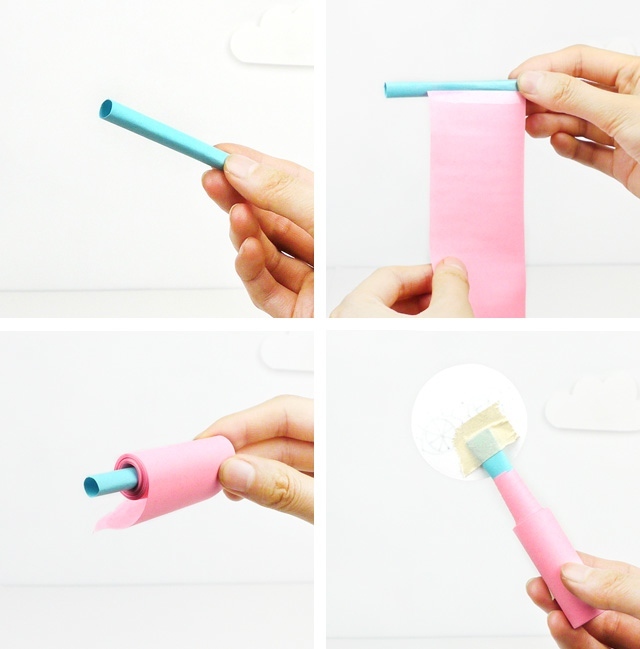 Roll up a small piece of paper to the size of a pencil. Mine’s about the length of my index finger. 2. Cut your favorite paper into a very long strip, use thin and smooth paper. Thick and textured paper will not work very well. The strip width needs to be shorter than the piece from the step 1. 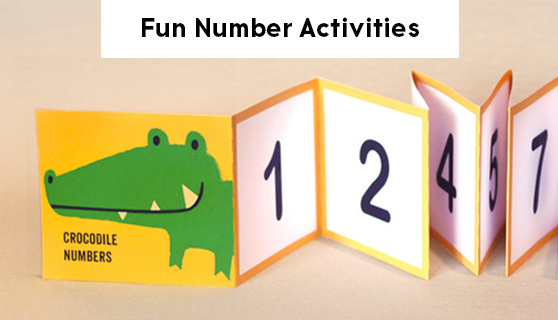 You can cut one letter or A4 size paper into a few strips and connect them with tape to make one long piece. It helps to make sure when you cut it that the strip is parallel along its length. The longer the strip the taller your telescopic tube will be! Tape one end to the rolled up paper tube from step one, aligned to one end of the tube. 3. Roll up the long strip around the core. Roll it tight. When you’ve finished rolling it very tight, loosen the whole roll slightly by letting it unravel a tiny little bit. Glue or tape the end. 4. 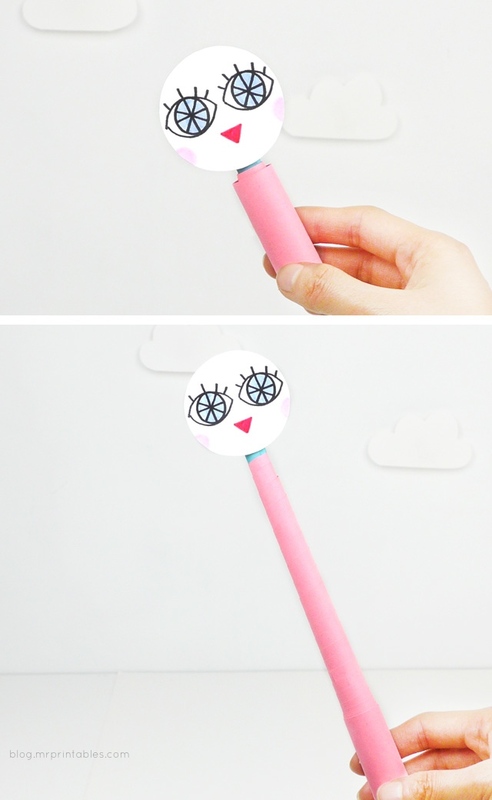 Draw a face, cut a photo or drawing and tape to the core tube bit that sticks out. 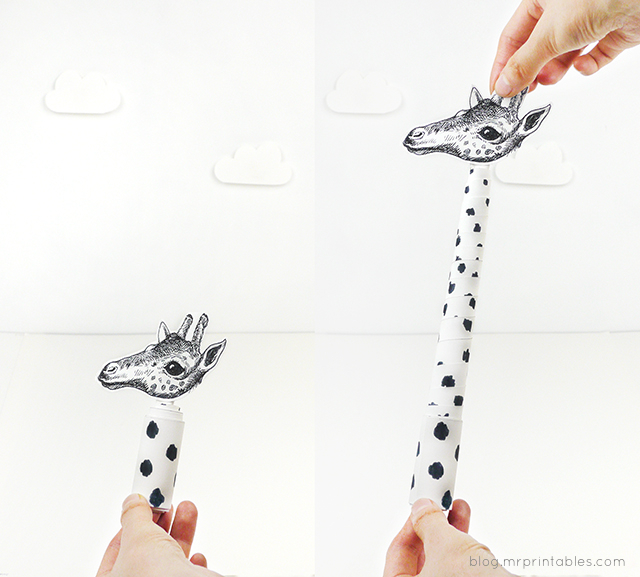 Now you can stretch it out to make it super tall! Decorate with arms on the body or you can draw on the stretched part. I drew the spots of the giraffe after it’s stretched out. Surprise people by magically making them grow tall! 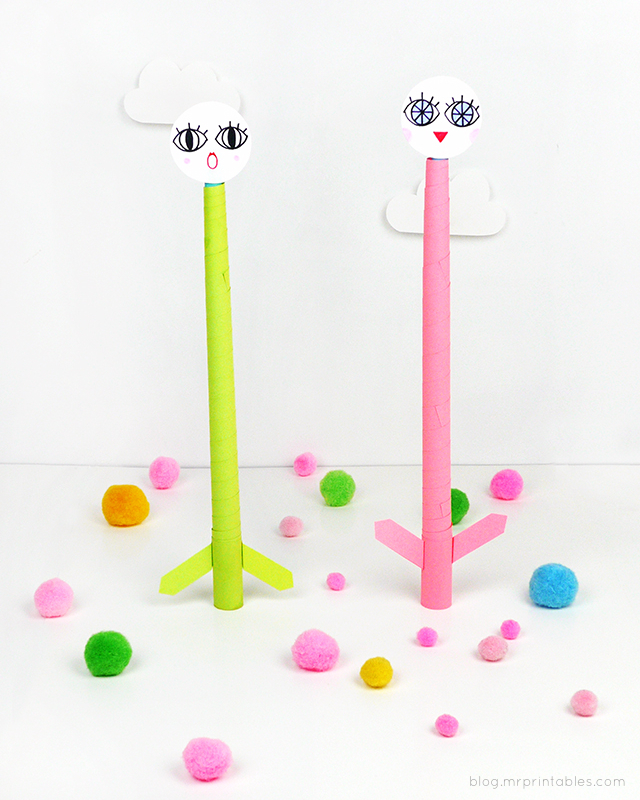 Have fun making them short and tall! If the paper gets stuck when you push it back, just turn it as if rolling it into a tighter tube, as you push to help it. We hope you enjoy making these, feel free to post your own versions on our Facebook, we’d love to see them! They’re so much fun! I love the growing Alice! Sooo cool!!!! 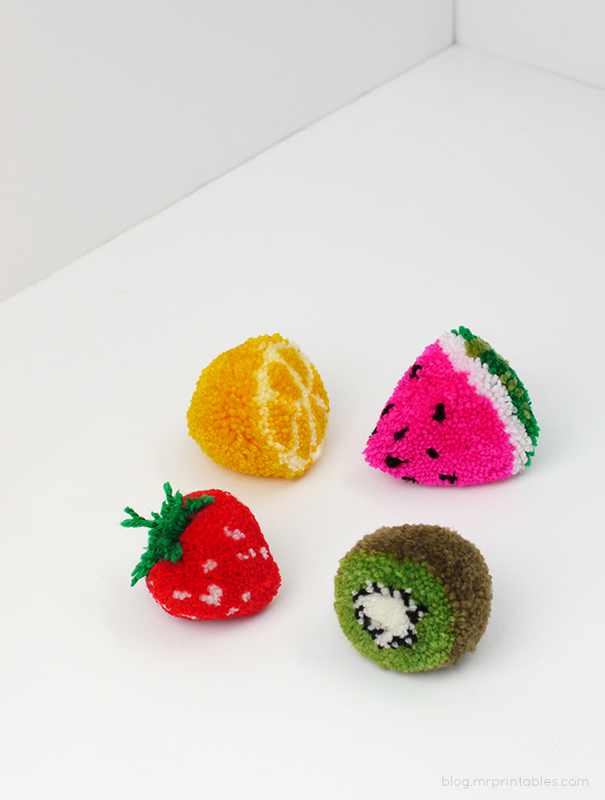 I am sure I made things just like this in my childhood days!